This picture shows the S.S. 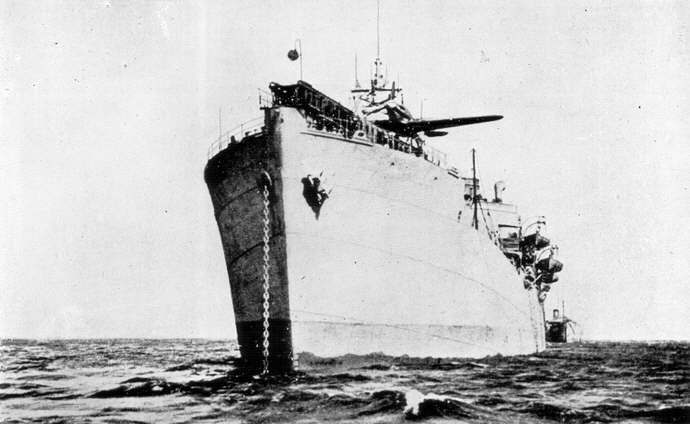 Empire Tide, a Catapult Aircraft Merchantman (or CAM ship). These ships were equipped with a single catapult-launched Hawker Sea Hurricane. They were meant for use against the long range Focke-Wulf Fw 200.